I've extracted the charts below from the results of Vision Mobile's most recent developer survey which were published this month in Developer Economics: State of the Developer Nation Q1 2017. 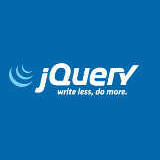 Historically jQuery was the first library to get really popular, enabling easier manipulation of the DOM on the client side. It’s still the most popular today, as the primary front-end library for 34% of web developers. However, manually manipulating the DOM turns out to be extremely complex and error-prone when it’s happening extensively, so frameworks that provide a better abstraction are increasingly important. Overall just 12% of web developers don’t use any kind of framework and another 6% have written their own. That leaves 48% of web developers currently using a third-party framework other than jQuery as their primary way of doing front-end web development. Of those, Angular and React account for 30% of all usage, leaving all the others far behind. Indeed front-end web development is such a fragmented space that no other single library or framework accounts for more than 2% of primary usage. So React and Angular certainly lead other frameworks, although only around half of all web developers have fully embraced any single page application framework so far. I'm surprised by the proportion of respondents still not using a framework at all and by the substantial number that claim to have written their own. Other interesting takeaways from this chart include Angular usage being fairly evenly split between Angular 1 and 2 and the fact that Ember, Vue and Backbone only have 2% share each. AngularJS (Angular 1.x) was the first single page app framework to get the stamp of approval from an internet giant, when Google started to back the open-source side project of one of their employees publicly. Google’s backing gave many large enterprises the confidence to adopt, and with broader adoption came a flourishing ecosystem of components and tools. As this was happening, React was built internally at Facebook and deployed on the Facebook newsfeed in 2011 and then Instagram’s web app in 2012. Yet React wasn’t released as open source until 2013, by which time Angular had an enormous lead in both adoption and ecosystem. Then in late 2014 Google appeared to stumble previewing Angular 2.0, which was going to be incompatible with Angular 1.x and use a new language. Reaction from the developer community was not good. By mid-2015 Google had agreed to work with Microsoft so that TypeScript became the official language for Angular 2.0, while the 1.x series had a promise of continued support, and a migration path between versions was created. This discontinuity for the Angular community seemed like a gift to the already rapidly growing React. Ian Elliot is the author of Just jQuery: The Core UI and Just jQuery: Events, Async & AJAX which are part of the I Programmer Library published by I/O Press.